Hello everyone! The goal for our chapter is to increase Stanford’s QuestBridge Scholars Network involvement through activities such as our mentoring program and community service projects and to gain recognition as an organization on campus. Stanford’s QSN Chapter has a strong relationship with the Office of Financial Aid and Admissions as well as the HAAS Center for Public Service. With these connections, we aim to reach out to local areas for community service and QuestBridge outreach events. In the upcoming year, we plan to organize multiple workshops and service projects with both offices that will not only benefit QuestBridge Scholars, but also those in our school and local communities. 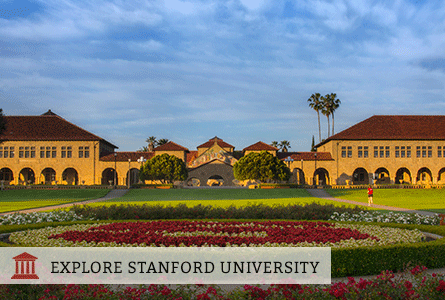 In order to strengthen the community of Stanford QuestBridge Scholars, we have hosted multiple events. Our most successful event was National Quest Day. During the event numerous scholars, QuestBridge staff, and even the founders of QuestBridge themselves attended! While this event was amazing, we hope to have even bigger, more memorable events in the future and we hope you will join us!